My hopes for the future of Liberty is one which includes a concerted, and planned effort to improve the town for the better with better walk-ability, less roads (but more functional ones), and a more community center atmosphere for everyone. The New Urbanism approach fits so well here with available multi-use space and current infrastructure. However with the likes of the new Family Dollar, one must wonder if we're not headed in the wrong direction: sprawl. 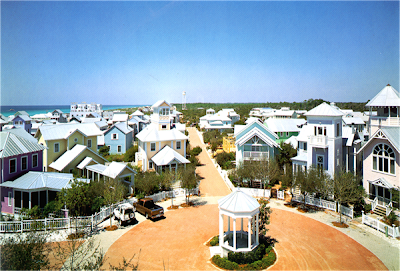 This photo shows the heart of the Seaside, FL community located on the Florida panhandle. Notice the high-density nature of the development, with minimal spacing between the buildings and the narrow streets. The homes are located close to the street right-of-way and garages are located to the rear of the houses with access via alleyways. Sidewalks can also be used as parking for vehicles. 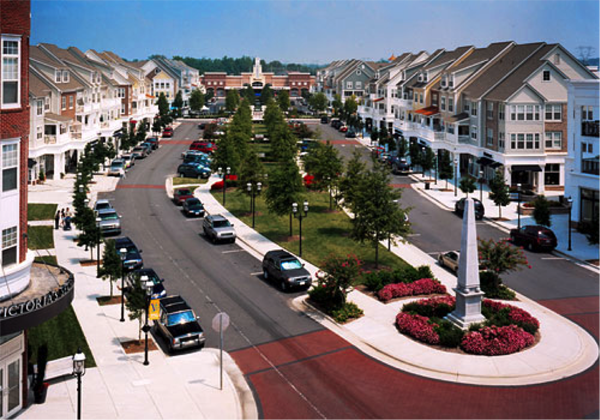 Birkdale Village is a new urbanist village located near Huntersville in northern Mecklenburg County near Interstate 77. Notice the retail stores located below the upstairs residential units. 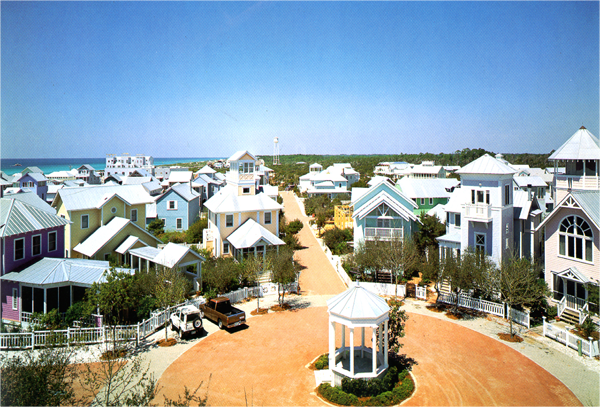 Also notice the abundance of on-street parking, sidewalks and extensive landscaping. I wholeheartedly agree! There is so much potential here and the New Urbanism approach would be an extraordinary direction to go. It's time for an upgrade, a revitalization. The two examples you provided would be perfect for this little giant treasure of a village and possibly awaken it and save it from becoming generic...or a ghost town. I really love your vision and ideas. Unbeknownst to many, only twenty minutes from the outskirts of Liberty, lies a government project shrouded in secrecy. It may sound like Stranger Things in real life, but hidden on Big Hole Road near Jordan Lake, AT&T Project Office NC-1 remains active. Before you start to speculate of aliens, gravity machines, and time travel, let's do some research first. The Project Office itself was built in the mid-1960's; featuring shock-absorbing spring foundation, steel and concrete blast doors, rubber plumbing, and tropospheric scatter antennae, a technique to send radio signals slightly farther. 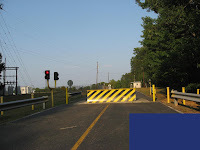 For security, CCTV and steel crash barriers were also erected. More recently, a moat has been dug around the complex. The name "Big Hole" travailed from the amount of earth dug during construction, giving the project an estimated 13 underground storeys. 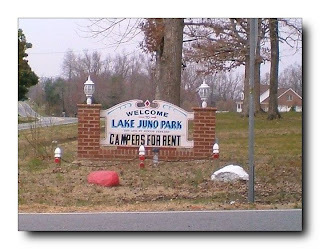 Family owned and operated Lake Juno has been a part of summers in Liberty for as long as I can remember. It's a great alternative to Emerald Pointe (Wet n' Wild), as there's no long lines, free parking, and admission rates are very affordable ($5 kids, $10 adults +$5 for waterslides and pool) when all you want to do is get wet and wild on those hot summer days. With acres of water slides, paddle boats, and thrilling family fun in the blue waves, Lake Juno seems to have an action packed attraction to make everyone smile. The park includes, a picnic area, paddle boats ($5), and camping ($25 a night). All this in the beautiful country side, with clear blue skies hailing down upon its patrons. The water park is continuously upgraded and improved to create an even more exciting experience every time a guest returns. Maintenance is a priority and they provide very a safe environment. The park is supervised by quality staff. 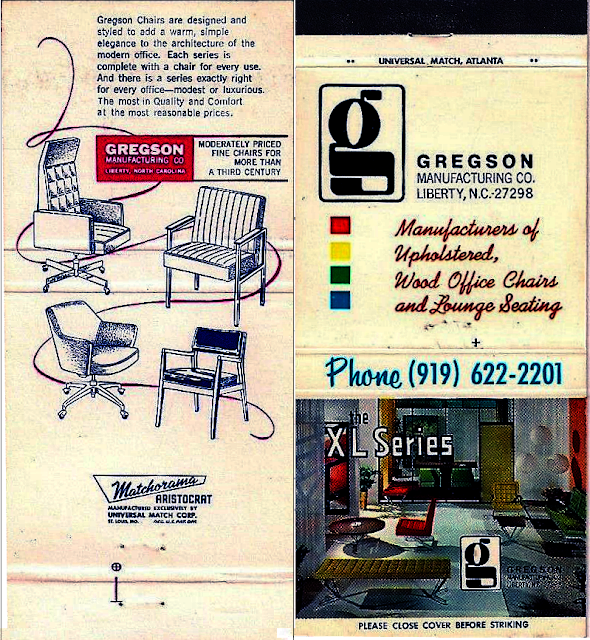 Take a seat and jump back in time with this retro cool matchbook cover for Liberty's own Gregson Manufacturing Company featuring their XL Series office chairs. Founded in 1921 by Barnie J. Gregson, the matchbook cover could have been written by the President himself, "Most in Quality.... Most Reasonable Prices". However, this was back when the area code was still 919 and white shag carpet filled the living rooms. Gregson chairs are designed and styled to add a warm, simple elegance to the architecture of the modern office. Each series is complete with a chair for every use. And there is a series exactly right forevery office - modest or luxurious. The most in Quality and Comfort at the most reasonable prices. [sic] The Gregson family lived in Liberty for over five decades with Barnie's children, Joseph and Dwight joining the company. Joseph was known around town as a volunteer fire fighter and avid golfer who frequented the Sedgefield Country Club.